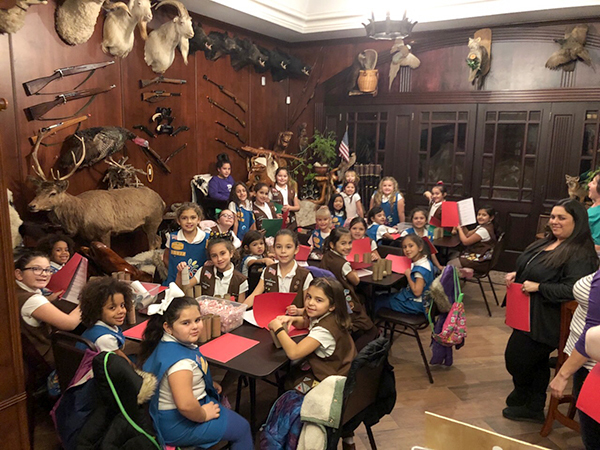 Daisy troop 40072 and Brownies 40664 got together to make peppermint tubes for our veterans. The treats were distributed during a breakfast held at the VA Hospital which was sponsored by Clark UNICO. The girls also sang carols at Atria Nursing Home. Troop Leaders Jessica Cordosa, Denise Ayers and Catherine Barbieri helped the girls with all the preparations.